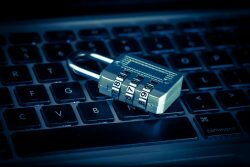 The top ten data breaches within the healthcare industry in 2016 were caused primarily by cybersecurity attacks such as ransomware and unauthorized access. In 2016, approximately 300 data breach incidents were reported to the Office for Civil Rights, among which 95 were caused by an IT-related or hacking occurrence and 125 stemmed from unauthorized access or disclosure. Theft of devices or records caused 58 of the reported breaches, while 16 were accredited to loss and seven to improper disposal. 9. Central Ohio Urology Group, Inc.
One of the largest healthcare data breaches of 2015 was the Excellus data breach, which compromised the personal health information of over 10 million people. An Excellus class action lawsuit, which was co-lead by Faraci Lange’s Hadley Matarazzo, alleged that the company failed to protect customer information, waited too long to tell customers about the breach and did not give customers adequate information about how to protect themselves in the wake of the breach. 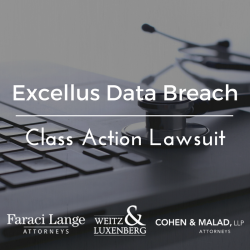 Learn more about the Excellus data breach lawsuit here. On Thursday, consumers in New York federal court argued that the Blue Cross Blue Shield Association cannot escape the class action claims it faces over a health insurance data breach and must be held responsible for failing to protect sensitive information. The BCBSA proposed a bid to shake the data breach claims against Excellus BlueCross BlueShield, which is one of its licensees. Customers fiercely criticized this bid, contending that Excellus had signed a contract promising health care to federal workers and it would ensure the protection of consumer information. BCBSA moved to toss the data breach claims against it last month, arguing that it merely entered into the contract on behalf of independent insurance companies that it licenses the Blue Cross and Blue Shield marks to.